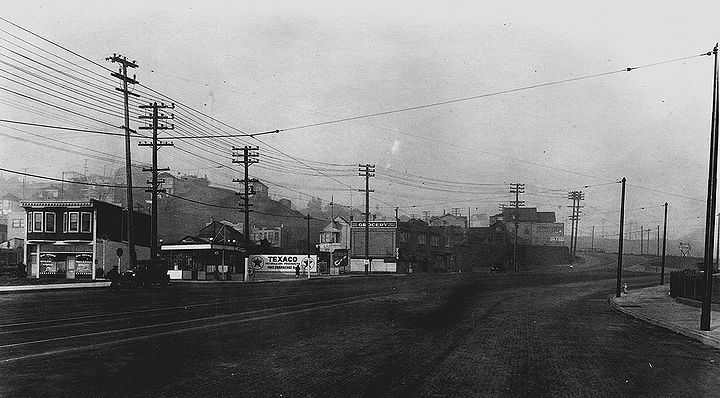 Looking north towards the end of San Bruno Avenue, where it curves down to meet Bayshore Boulevard in Visitacion Valley, c. 1926. 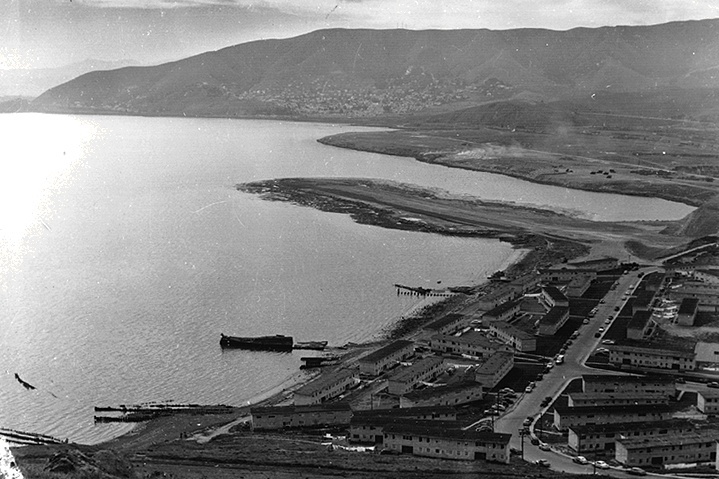 The house most at right with the double roofline in the photograph still stands there today. 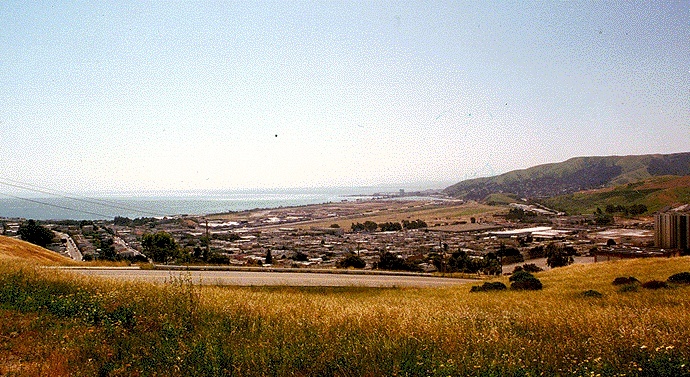 Visitacion Valley from McLaren Park, former Brisbane Lagoon in distant flatlands, San Bruno Mountain on right horizon, while in foreground at right edge of photo is the old Geneva Towers, demolished in 1998. Another view, this one in 2008, of old landfill site in Brisbane Lagoon. 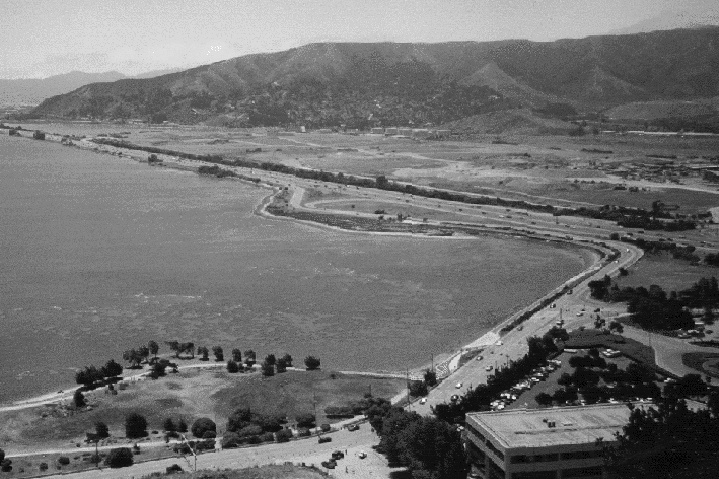 Southwest view in 1950 from Bayview Hill across Brisbane Lagoon, site of San Francisco's garbage dump for over 40 years, Highway 101 causeway just taking shape. 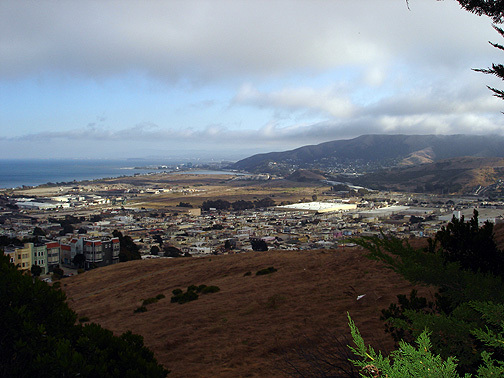 Same view in 1997, years after the Southern Pacific Bayshore yard had been abandoned, and mostly removed.. 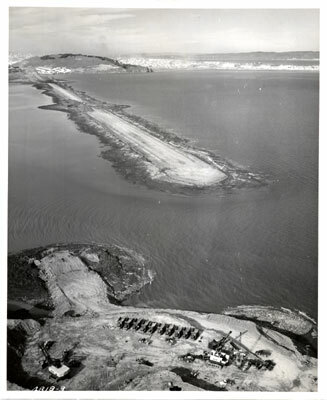 Reverse view, south to north, from edge of San Bruno Mountain looking towards Bayview Hill in distance; Highway 101 causeway under construction, Feb. 23, 1956.